Business View Magazine interviews Elliot Bohm, CEO of CardCash as part of our focus on best practices of American businesses. 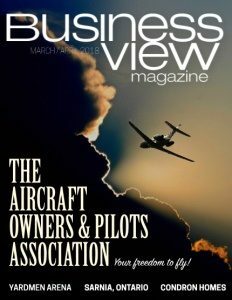 Recently, Business View Magazine spoke with Bohm to learn more about this unique company. The following is an edited transcript of that conversation. BVM: How did CardCash get started? Bohm: “It was right after the holiday season and my co-founder had a couple of gift cards that he received that he had no use for; he didn’t shop at those brands. I’ve always been a bargain hunter and I’ve always been someone who never likes to pay full price for anything. So, I offered him 80 cents on the dollar for those gift cards. And he went for it. “Suddenly, the light bulb went off. There are many millions of consumers who lived through that exact, same scenario, where one consumer received gift cards after the holidays that they had no use for and another consumer who would love to shop at those brands and would buy that ‘currency’ to use with that brand at a discounted rate, essentially saving money on all their purchases. BVM: How does it all work? 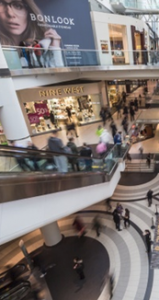 Bohm: “It is a secondary market so you have buyers and sellers, and then there are the retailers – so there are really three participants in every transaction. There’s Macy’s, who issues a hundred dollar gift card; there’s Bob who got the hundred dollar gift card for a gift he doesn’t need and he’d rather have cash; and then there’s Joe, who wants to shop at Macy’s and get a hundred dollar value for 90 dollars. BVM: I understand the benefits to both buyers and sellers, but don’t retailers hate it? It seems to me that they make out better by not having to trade product for the card, at all. I mean, since Macy’s already has the money for the gift card that somebody purchased for Bob, wouldn’t they rather not have anyone actually redeem it? Bohm: “The dynamic on the financial statement of retailers is not exactly as you described. It’s a liability for the retailer and they can’t mark it as revenue until the gift card is actually spent. So, yes they have the cash, but it’s a liability on their balance sheet. In many states, after a certain point, it gets escheated, and gets marked as unclaimed property, so the retailer would never actually get it. Even in the states where there aren’t such laws passed, it can sit on the retailer’s balance sheet as a liability for many, many years, until they slowly can chip away at breakage. BVM: So they actually love you? BVM: How about some nuts and bolts? What’s your company’s geographical footprint and how many employees do you have? BVM: How do you reach out to your customers? BVM: So anyone who either wants to buy or sell a particular card goes through you? BVM: What kind of competition exists in your space? BVM: Has anything occurred recently, or planned for the near future that will impact the way the business operates? Bohm: “We started an initiative which took off very nicely. In addition to offering consumers cash for their gift cards, we’re also giving them the ability to trade a gift card for another brand. Say you got a Macy’s gift card and you don’t want it. CardCash will either give you 80 cents on the dollar, or we can give you an Amazon gift card. Now, if you’re doing a trade for, say, Amazon, you’re going to get five percent more value than the cash option, so you would get 85 cents on the dollar for that gift card. If you were to trade it for a Dell gift card or a CVS gift card, you’d get some top-off over the cash option. BVM: Are your transactions done physically or digitally? BVM: How does that work? BVM: Does that happen often? BVM: Will there be any other changes in the company’s business model over the next several years? BVM: Is there anything else you’d like our readers to know about CardCash? 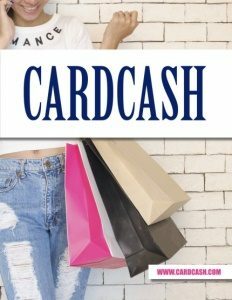 Bohm: “All of your readers shop at retailers and if they all want to save money, I would definitely encourage them to download the CardCash mobile app, which is available on Android and IOS, and go through the experience of buying a gift card and having it delivered almost instantly to their phones. You download the app, and you put your credit card information in the app to pay for your purchase. Once you set it up properly, it’s a frictionless experience, and at some retailers you’ll save three percent, and at some you’ll save 20 or 30 percent. It’s something that every consumer should try. It involves just a little bit of forethought. “It’s really money thrown out, if you walk into a Wal-Mart or a Target and just swipe your Visa, Mastercard, or American Express card to make your purchase and not use the CardCash mobile app to get a Wal-Mart gift card for five percent off. You’re literally throwing away that five percent.